The Godfather of Content Marketing has struck gold again. 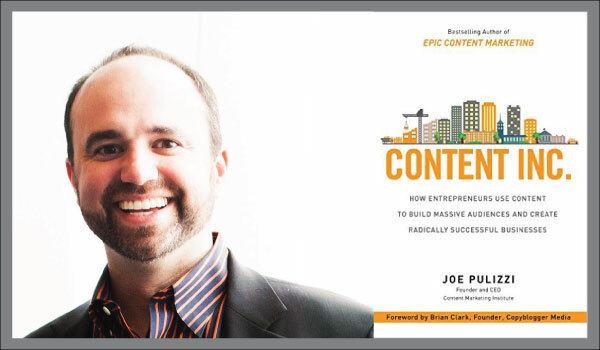 Content Marketing Institute founder Joe Pulizzi has a new book that will hit shelves and Amazon carts this September. His newest book, Content Inc.: How Entrepreneurs Use Content to Build Massive Audiences and Create Radically Successful Businesses is a delightful blend of inspiration from Joe’s personal experiences building Content Marketing Institute and advice businesses can follow to create an actionable content business model. Content Inc. takes readers down the logical path from starting their journey, to monetization and creating next-level content. When the Godfather releases a new piece of content it is always worth a read. If you don’t, you may have to answer to his loyal base of subscribers and followers. Below are some highlights of Content Inc. as well as an exclusive interview with Joe on his new book. What You’ll Learn in Content Inc.
By focusing on building an audience first and defining products and services second, an entrepreneur can change the rules of the game and significantly increase the odds of financial and personal success. There is a big difference between inherently having an idea of what your goals might be, and actually getting them down on paper and persistently working to achieve them. Even though this book is largely about content, Joe makes sure to emphasize that you should document all goals, personal and professional in order to be successful. This approach can help you prioritize and scale your business model. This book is built around what Joe calls the “Content Inc. Model” which is a six step process marketers can follow to efficiently and effectively develop a winning content marketing program. What are the steps? The Sweet Spot: A blend of your core knowledge and passion. Content Tilt: Defining what makes you different from your competition. Building the Base: Determining which content distribution channels will be your foundation for publishing. Harvesting Audience: Leveraging different methods to draw in new audience members. Diversification: How to break out from your base distribution channels and build additional streams. Monetization: Once you’ve scaled your model, how will you use it to generate revenue? Content Inc. has a high impact ending. After we’ve been instructed on the six steps, given prompts for action and resources for more information, we have the best part; examples. Readers can gain inspiration from hearing more about how companies like Razor Social, Lego, Marriott and more have found success from following the Content Inc. Model. Who is Content, Inc. for? The book is perfect for two audiences. First, for startups and small businesses, Content Inc. can serve as the underlying business model for long-term growth. Build a loyal audience and sell them whatever you want. Second, the book can really help marketers in larger companies who need to be change agents. Marketers looking to build a valuable audience in a specific content niche – that ultimately will help them drive more leads, more sales or new lines of revenue. In chapter one you talk about “Beginning with the end in mind”. What impact has goal setting had your own career? My life changed for the better when I started to do two things. First, write down my goals (with actual pen and paper). Second, review those goals daily. You have no idea what kind of impact this can make on your life. It’s such an easy thing to do that no-one does. Another concept you reference is about “Unleashing Your Passion”. How did you find your passion for content marketing? I don’t like the idea that marketers only sell and don’t make positive change happen. That’s why I love content marketing. You can increase the bottom line while, at the same time, help your customers live better lives or get better jobs. Content marketing is the only kind of marketing that provides ongoing value, whether you purchase the product or not. Isn’t that what all marketers want to do? Provide real value? What are three things you want people who read Content, Inc. to walk away understanding? That the way we’ve been launching and growing businesses is not right anymore for how people consume information. Building an audience around valuable content is the absolute best way to start and grow a business for the long-term. That even though Content Inc. is not a get-rich quick scheme or will make immediate impact in your business, if you follow the six steps and consistently execute on the idea, you will be successful. Any sized company can do this. Any company or person can follow the six steps. I love it because it’s democratic. Bigger budgets don’t necessarily win. The competition can copy everything we do as companies except for one thing – how we communicate. That means delivering an amazing content experience to our customers on a regular basis is THE most critical thing we should be doing as marketers, business owners and communication professionals. The way that Joe structured Content Inc. is incredibly powerful. He provides enough information to make the content actionable, without creating paralysis from information overload. If you’re looking for a content model to follow, enjoy a good story, or just want to know more about the man behind Content Marketing Institute, I would strongly recommend pre-ordering a copy of Content Inc. on Amazon. 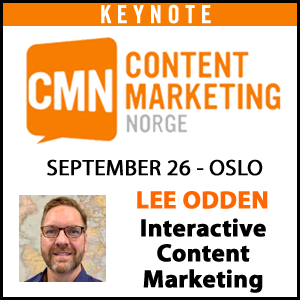 The book will be released on September 8, 2015 to coincide with the annual Content Marketing World event hosted by Joe’s team in Cleveland, OH. 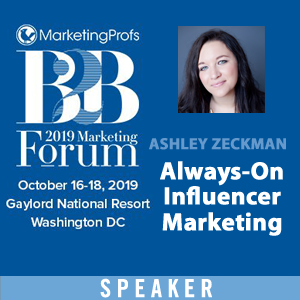 The TopRank Marketing team will be in attendance, and our CEO Lee Odden will be speaking on the topic of Participation Marketing: How to Co-Create, Optimize & Socialize Content With Influencers. 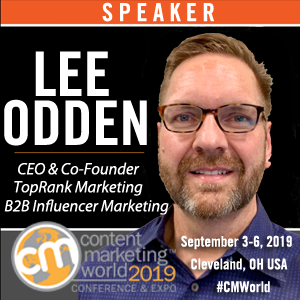 We are very excited about Content Marketing World and look forward to learning from some of today’s top content marketing experts and connecting with other passionate content marketing individuals. See you there!